This might be old news by the time it finally hits my blog (I schedule posts way ahead of time! 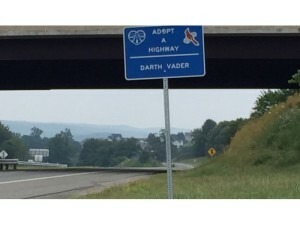 ), but apparently Darth Vader has adopted a stretch of highway to clean up near my old stomping grounds. 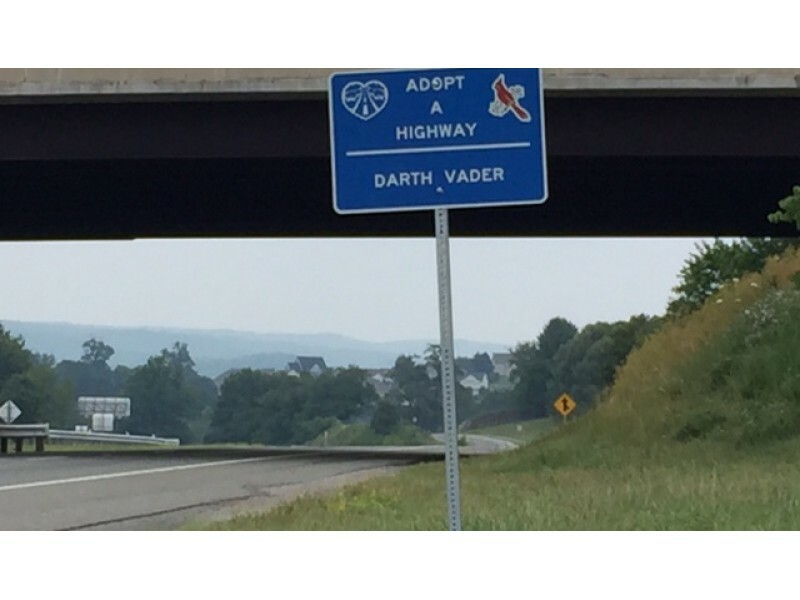 Henry Wakley, a school bus driver, adopted the highway in Blacksburg in Darth Vader’s name. Not only does the sign give one a chuckle, but he actually goes out to clean the area wearing a Darth Vader mask. How much fun would that be to see as you’re driving by? When I was at Virginia Tech, my adopted highway with the honors community service group wasn’t too far from this particular road. 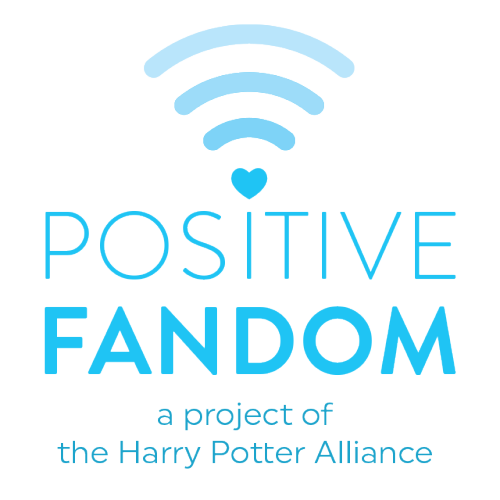 So it’s great to see the program still at work and that someone is putting fandom to good use! For more information, check out the Patch article about this story.